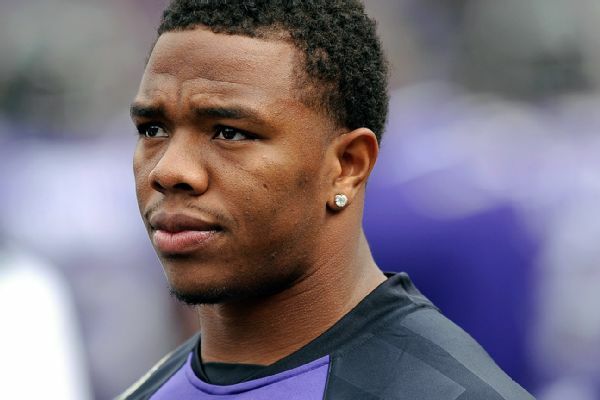 After missing all of last season due to a suspension for his domestic violence offence, Ray Rice is trying to find his way back into the NFL, but as he’s realizing, there might not be a place left for him in this league. It’s not just the domestic violence and bad PR that’s keeping Rice out of the loop. Think of Greg Hardy and Adrian Peterson. They were suspended for all of last season, but they’re still players who can contribute, so teams signed them or kept them. Michael Vick was in jail and played again in the NFL. It’s all about whether or not a team can use you, and Rice is viewed as a has been in a position where most of the premier talent is young. Rice ran for only 660 yards in 2013. Running backs don’t usually bounce back from bad seasons. When the decline begins, it carries on. From 2009 to 2012 Rice was one of the best and most reliable backs in the league, be it running the ball or when running a route. But after making three Pro Bowl teams and winning the Super Bowl with the Ravens in 2012, with two seasons of over 2000 yards from scrimmage, Rice bottomed out, and there doesn’t seem to be too much faith in his ability to turn back the clock.